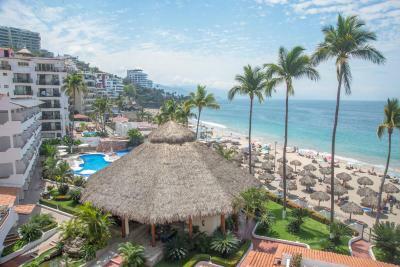 Lock in a great price for Tropicana Hotel Puerto Vallarta - rated 8 by recent guests. Excellent service by all employees. Quiet at night on the beach side. I loved hearing the waves. The restaurant food was very good and good value. I like the balcony with table and chairs we had facing the ocean. 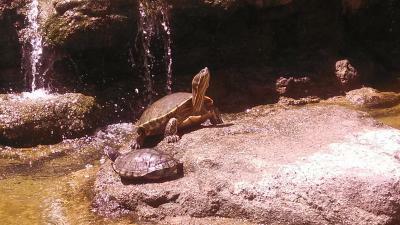 I loved the 4 turtles in the pond by the stairs going to the restaurant. I looked forward to seeing them everyday. I like the beach cabanas. The location was great! Walking distance from so many things! Location is perfect. Just in front of the beach. Nice facilities like swimming pool and bars. Room is very big and clean. Bed comfortable. The pool and location are redeeming factors of this property. I liked the location. I wouldn't stay for more than a night though. 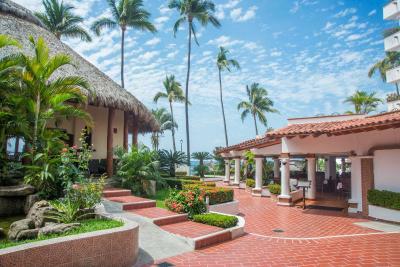 One of our top picks in Puerto Vallarta.This beachfront hotel overlooks Banderas Bay and is within a 10-minute drive of Puerto Vallarta. The hotel features an outdoor pool and currency exchange at the front desk. 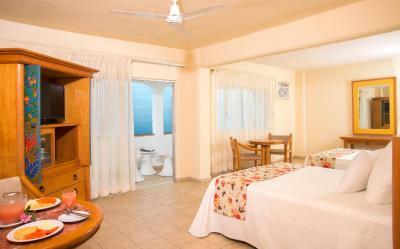 Tropicana Hotel Puerto Vallarta rooms feature cable TV and a private bathroom. Guests at the Tropicana Hotel can dine in the on-site restaurant or get a drink in the bar. 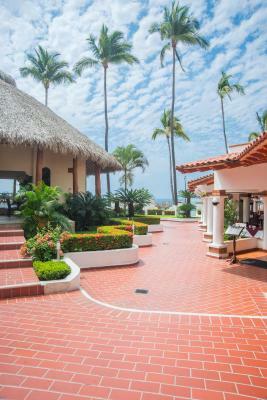 The hotel offers beach access to guests. 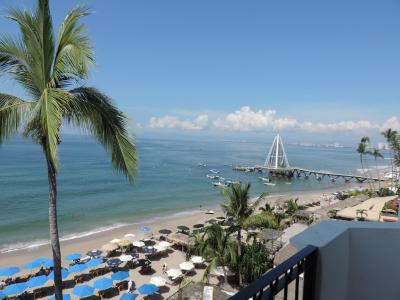 The Puerto Vallarta Tropicana is located on Muerto Beach. 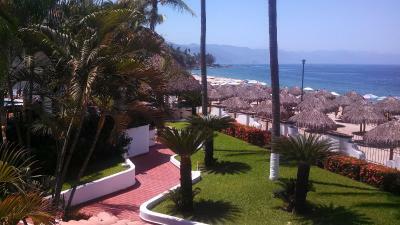 The hotel is within a 20-minute drive of the Puerto Vallarta International Airport. 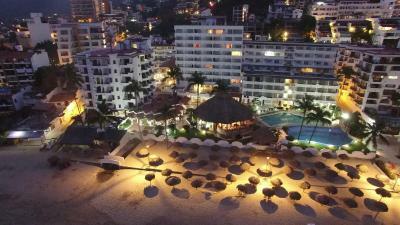 Tropicana Hotel Puerto Vallarta has been welcoming Booking.com guests since 28 Mar 2011. 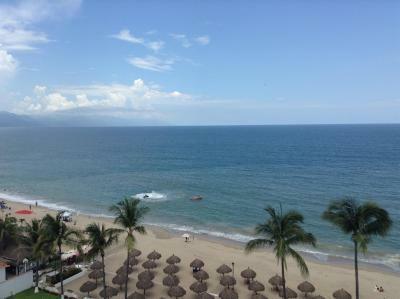 When would you like to stay at Tropicana Hotel Puerto Vallarta? 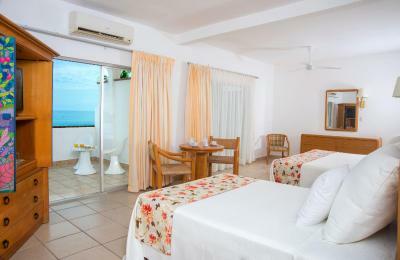 This room features television, a garden as well as full bathroom with amenities. This suite is spacious and comfortable with television, wired and wireless internet access, full bathroom with amenities and kitchenette. Maximum occupancy is of 4 guests including minors. This spacious, bright and pleasantly decorated room is complemented with amenities that include television and a bathroom with amenities. Maximum occupancy is of 4 guests including minors. Room with a double bed and one single, ceiling fan, safe in the closet, telephone, basic rooms 2 and third floor with cable TV. 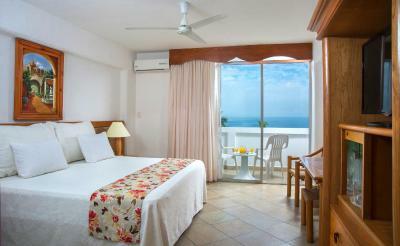 The Hotel Tropicana PV was constructed at beginning of the 60´s and was a pioneer in the hotel profession in PV. Starting with 40 rooms the hotel steadily increased through the years. 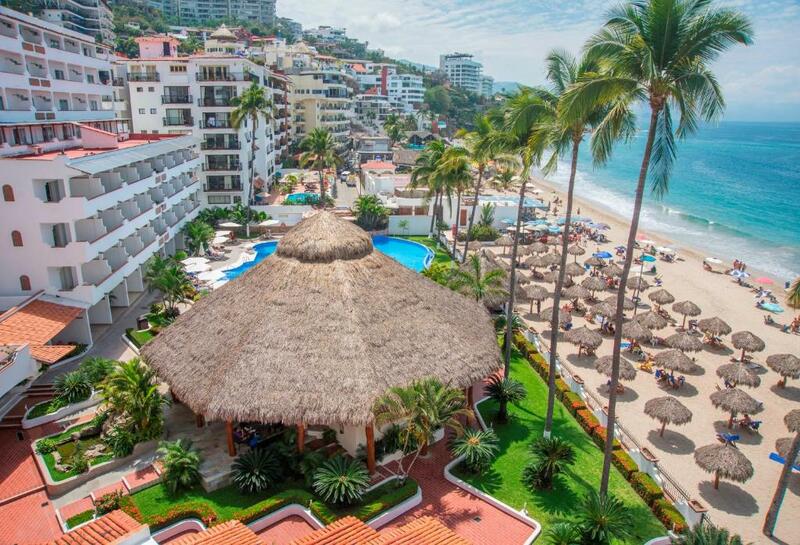 Over the years the Hotel Tropicana PV has been able to provide and maintain expert service while providing superb accommodation in the tropical paradise known as Puerto Vallarta! 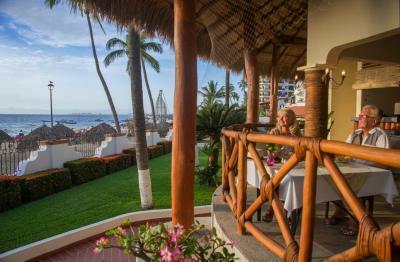 House rules Tropicana Hotel Puerto Vallarta takes special requests - add in the next step! Tropicana Hotel Puerto Vallarta accepts these cards and reserves the right to temporarily hold an amount prior to arrival. It would be helpful to have a mini fridge in the room and easier access to ice for keeping drinks cold in the room. I understand the culture of people selling goods and services on the beach. However, when you are trying to just relax and read a book it can be a little disruptive to be asked to buy something every 2-3 minutes. I know it’s an expected part of the culture...it just got to be so much after 4 hours on the beach. The patio deck and view was beautiful. The beach chairs and pools were lovely and convenient. Checking in was a disaster, zero customer service . Check-out process can be complex. But ensure you understand what is expected on the day you check out. It's not that bad, it just needs to be communicated to you when you are signing. Been here before but this time the experience was much better. Location was amazing, view from my room was spectacular and the cleaning staff and front desk were very friendly. I would return there for sure. Bravo to this great hotel. Shower was too dark and had cracks. Water pressure too low. Walls had food splatter. Maid service was excellent. Great views. The cleaning of the room was not consistently cleaned the same. Some days we didn’t have enough shower towels, water, or toilet paper. They had random unnecessary charges for the ac control, tv control, extra room key, safe lock and key. I loved the view from my hotel room and the sound of the ocean. The air conditioner was awesome and the fan too. Our bathroom did not have a fan or window and had a sewer smell. That is the reality of Older area and being down by the water. Our room was very clean-not fancy but perfect for our needs. Some parts of the facility are tired and in need of updating. The location is fantastic. This facility is close to everything one would need. 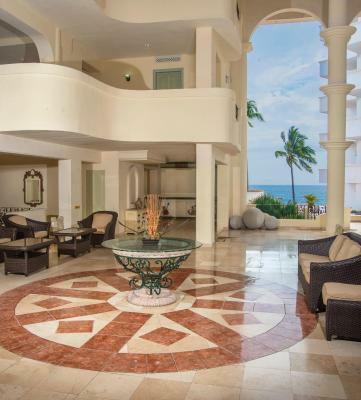 The beach is steps away, nice pools, on-site dining facilities, good food options within walking distance, and even some shopping is nearby. breakfast buffet was a good value. The rooms looked like a 1 star hotel. The outside grounds were well kept and beautiful. No WiFi in rooms - only in the lobby area. 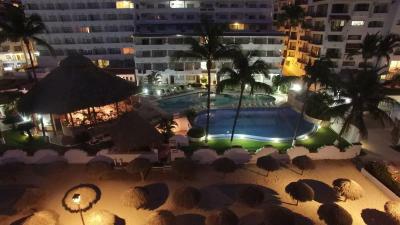 Great location - nice beach front & pool, close walking distance to shops & restaurants, staff was friendly and helpful. The room needed much attention and total remodel, and the fact that there's no in-room WiFi is unacceptable. Hotel staff was good, however, they could do a better job explaining how everything works. I found myself going back over and over to understand the WiFi situation, towels, keys, etc. 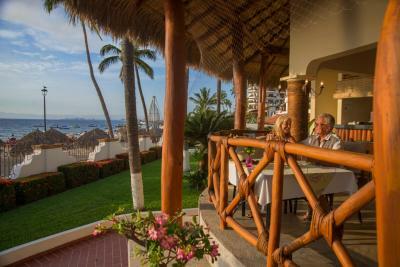 Traditional, classic, "old school" that has been a staple of the Puerto Vallarta hotel scene... and it shows. 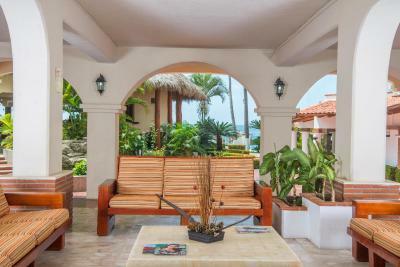 The common areas, including the pool, restaurant and access to the beach were great. Restaurant staff was outstanding. Personable, attentive, smiling, unobtrusive. Great!